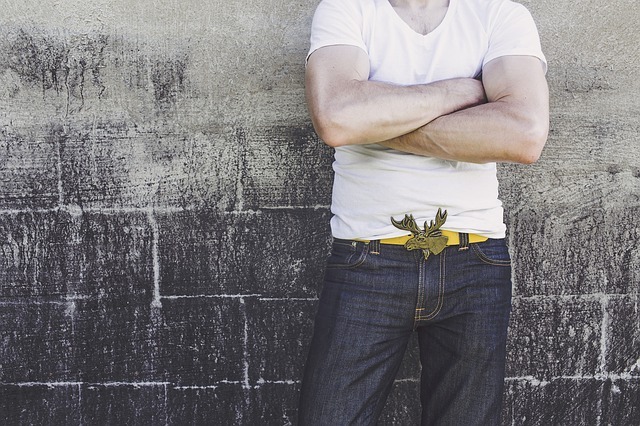 The White t-shirt and blue jeans is so much of a versatile clothing combo that even if you are not fashion aware you know that it works and looks good. So, here are some ways as to how you can spice up the good old combination and make it a bit more dressier and put together and make it look like you took effort in creating your look. Like the t-shirt and jeans combo, sunglasses and handbags have been as basic as an accessory comes. Sneakers are also one of the most comfortable and stylish at the same time shoes. Style all the basics together and you get a carefully put together out and about look. Over the knee boots are one of the classic combinations with skinny jeans. Combine two classic combos into one look and you have yourself a fun and casual country look. Denim jacket is one of the staple wardrobe pieces and also a classic piece of clothing. In the spirit of mixing all the classic pieces, wear your t-shirt jeans combo with a denim jacket for a subtle dressy vibe. Scarves are a great way to add warmth to your neck and some colour and pattern to your plain outfit. Depending on your taste, you can choose what the scarf speaks about your outfit. Stoles are bigger versions of scarves and casual versions of dupattas. There are so many different ways to wrap a stole around your neck, explore your options and find new styles to play with. Plaid shirt is right there with the jeans when it comes to comfort and versatility. Tying your shirt around your waist has always been considered to be cool. We don’t see any of that dying any time soon. I mean if you do not want to get the cool acknowledgement and would instead like to protect yourself, wearing the shirt instead of tying it around your waist is the way to go. For business casuals, add a blazer style jacket to your comfy basic combo and you have yourself a smart ensemble ready to rock. Although the blazer jacket looks more business casual, the blazer can pull in the same vibe with a little bit more towards the casual end. Kimonos are fun to wear and move around in. Add a kimono jacket to get an instant fun look. The light airy material gives you a complete chic vibe when paired with our basic combo and also adds some colour and pattern to the ensemble. What are the two basic signs of coolness in clothing? Biker jackets or leather jackets and a plaid shirt tied around the waist. Why combine only two when you can combine more and create a more edgy look? Basic and laid back combos do not always have to be just that. Use your imagination to spice things up. While leaving your home in a basic ensemble, pause and add one more thing to the outfit and you will have yourself a pulled together and unique look.